This week I wanted to share with you a new project that I’ve started especially for Christmas, I know it’s not even October but this will take me a while to work on. 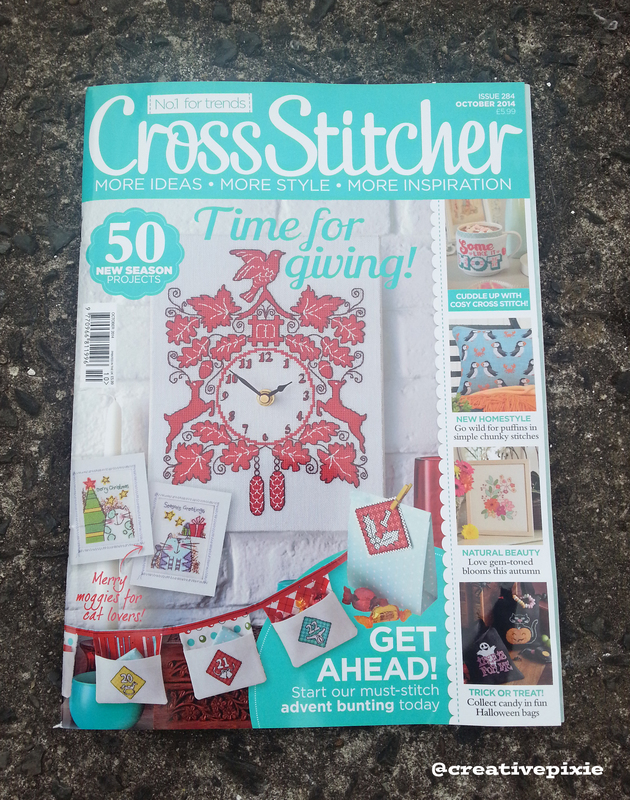 My sister and I both bought the latest issue (no.284, October 2014) of Cross Stitcher magazine. We are both big cross stitching fans (you may remember the Christmas stocking she stitched last year) and were on the look out for a cross stitch design to do for this Christmas. 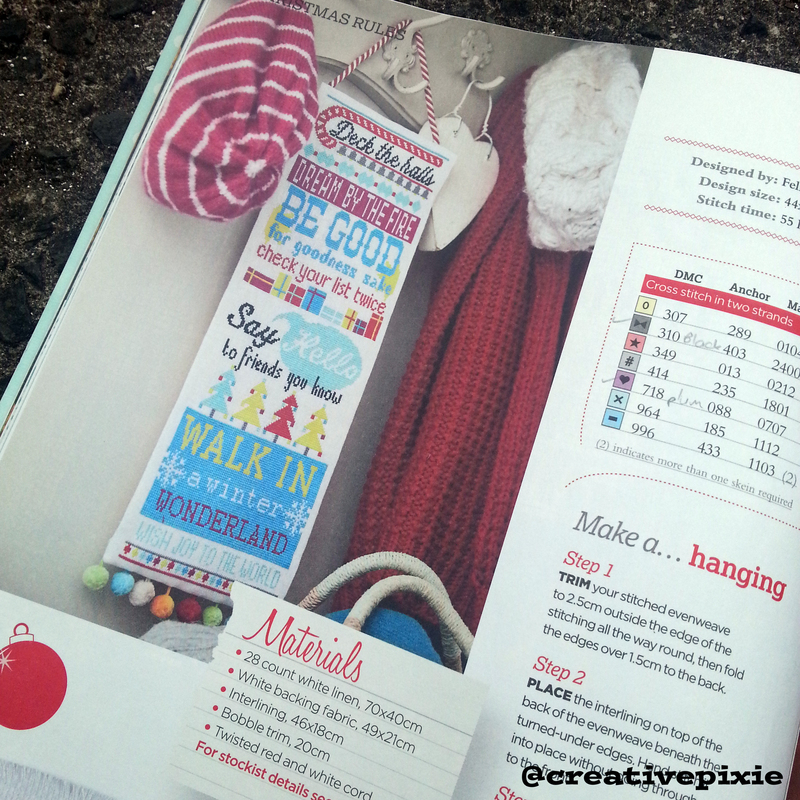 On page 23 we saw a wonderfully colourful wall hanging, a simple design to pick up during those spare moments we might have. I went online and bought the materials for both of us and a day later they arrived (thank you sewandso for your prompt delivery). I haven’t decided whether it will be a hanging or if I’ll get it framed, we shall wait and see. I’m really excited about working on it and my sister and myself regularly send photos to each other of our progress. Here’s how far I’ve got. I’ll keep you updated. Anyone one else working on a Christmas cross stitch? One of my favorite magiznes! I will have to make a stop by my local Joann’s to get a copy. Lovely! I’ve been making some gift plans from What Delilah Did’s book, Storyland Cross Stitch. 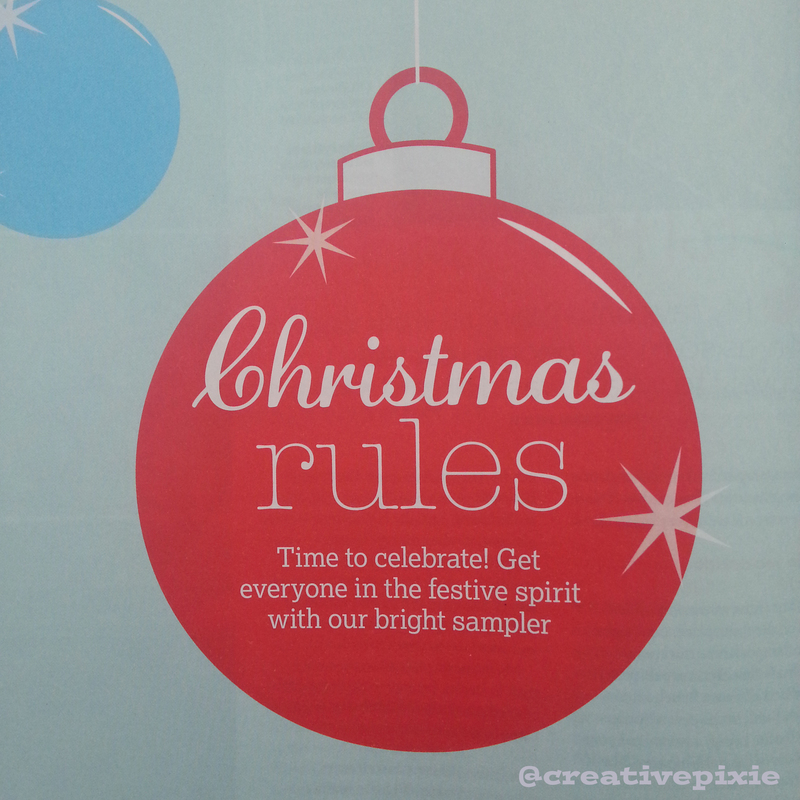 I know it’s early, but as you said, it’s the only way to be finished handmade things in time! Ooh, looks like a lovely project! Cross Stitcher isn’t out here yet – it always takes a week or so for it to appear in Germany. I’m busy stitching Christmas card designs. I have lots of cards to make, so if I wait any longer I won’t get them all done in time! Never too early to start on Christmas. It’s far more enjoyable with plenty of time to complete a project. 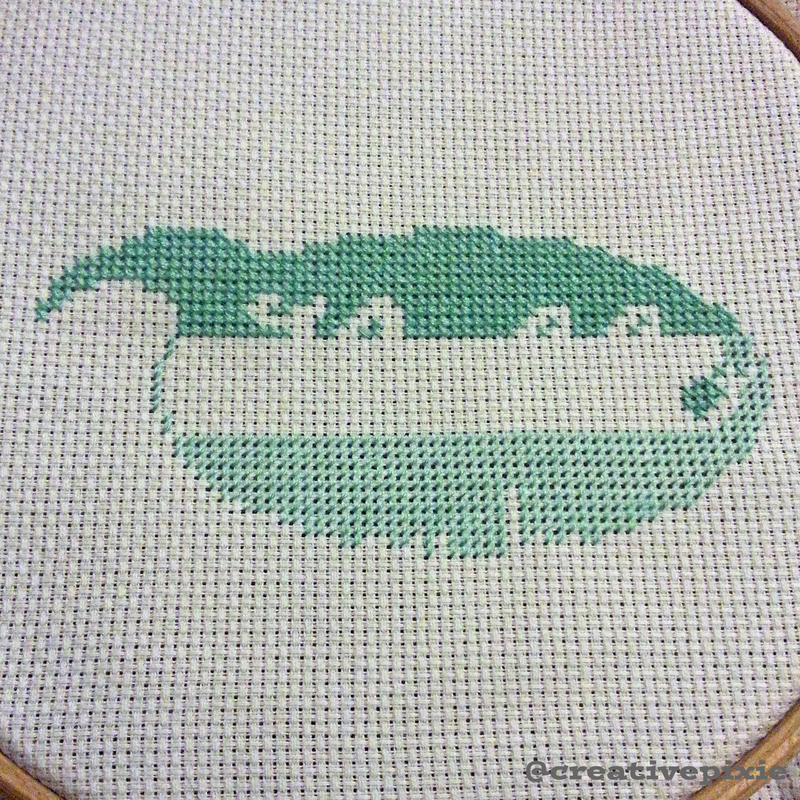 Golly, haven’t done cross stitch for over twenty years; maybe it’s time to take it up again…? I love this design! What a fun idea to stitch it together. You are super organised! That looks like a great project, make sure you let us see it all finished! I know Christmas is right around the corner but I just can’t wrap my mind around it! Your projects definitely help!